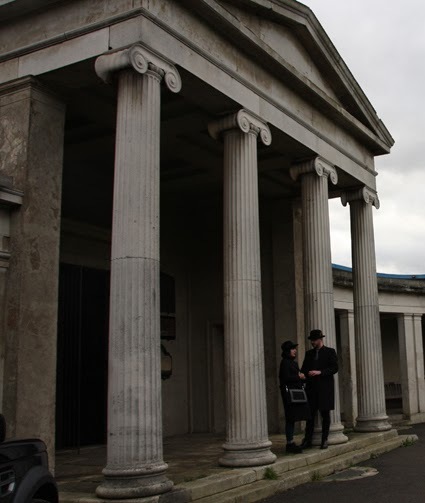 The picture above shows the Dissenters' Chapel at Kensal Green Cemetery - the wonderful setting for a salon I went to on Sunday discussing Is Death the End? The salon was part of London Month of the Dead, run by Antique Beat and Curious Invitation. It was also sponsored by Hendrick's Gin . 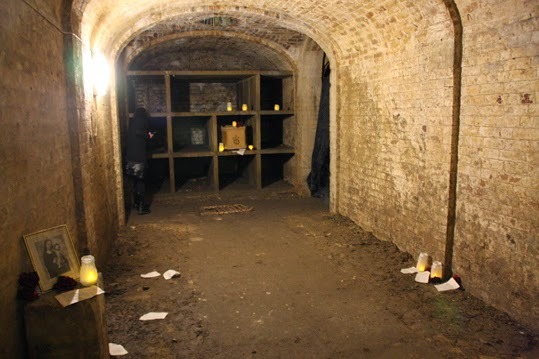 Everyone who turned up got a lovely gin and tonic at the start and then hot punch in the interval - perfect for sipping while appreciating the architecture of the funerary monuments or exploring the chapel's creepy crypt. There were two talks at the salon. In the first, bereavement specialist and founder of the Natural Death Centre Josefine Speyer explored how our fear of dying can be lessened by such things as making a will, discussing with our loved ones where we want to be when we die and making plans for our funeral. The Natural Death Centre offers advice and support to help people have the best experience possible when it comes to making arrangements for a funeral - and, no, you don't have to do what the funeral directors expect you to do if you don't want to. The second part of the evening asked Is Death Really the End? Erlendur Haraldsson, professor of psychology at the University of Iceland and author of The Departed Among the Living: An Investigative Study of Afterlife Encounters looked at evidence for life after death. He talked about people's experiences of seeing or sensing the ghosts of departed loved ones and case studies of past life recall. There were some fascinating tales that make a strong case for the possibility of reincarnation. It was a thought-provoking evening - and much more fun than you might think a discussion about dying and death would be. 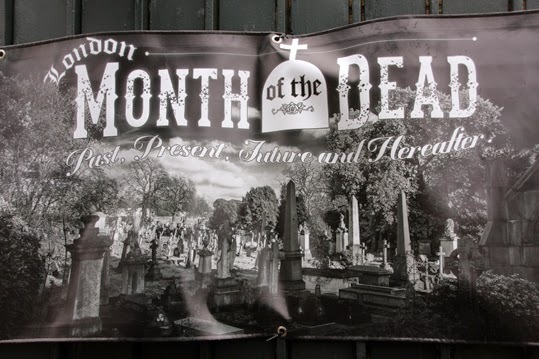 London Month of the Dead runs until November 2. Although many of the events are now over or sold out, you can still go to the website and get recipes for some gin-based Month of the Dead cocktails. 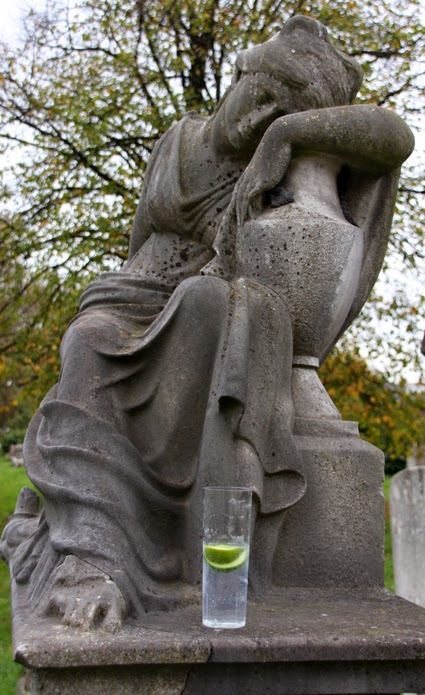 Kensal Green Cemetery is one of London's famous Victorian burial grounds. Before the salon began I wandered around it taking photos - I'll be posting the best on my blog and writing more about Kensal Green in the next few days.